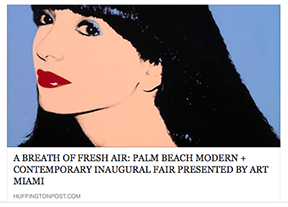 As the newest addition to the prestigious Art Miami Group, celebrating its 27th year, Palm Beach Modern + Contemporary offers the best investment quality works from the 20th and 21st centuries, will take place in the intimate and modern setting of a 65,000-square-foot clear span pavilion centrally located between City Place and the luxurious Hilton West Palm Beach. Collectors, art connoisseurs and art world luminaries alike have the opportunity to acquire investment quality blue chip contemporary, Post-War works from fifty top international galleries throughout the weekend. 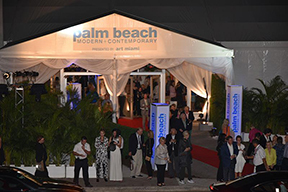 These premier galleries come to Palm Beach County from as far as Japan, United Kingdom, France, Germany, Canada, The Netherlands, Portugal and Venezuela and have been featured in numerous prominent international fairs, including TEFAF in Maastricht and New York, The Armory Show, Masterpiece London, Art Miami, Expo Chicago, and many others. Palm Beach Modern + Contemporary has partnered with the historic Ann Norton Sculpture Gardens, which will serve as a satellite venue and exclusive cultural partner for the fair, and commemorate the fair with a special exhibit of artist Sophie Ryder‘s monumental and small-scale sculptures, which will continue through April 2017, courtesy of Waterhouse & Dodd. Complimentary shuttle service will be available daily between the fair and ANSG Friday through Sunday from 12:30pm-5pm. PBM+C VIP Preview Benefactor, the Palm Beach Zoo & Conservation Society is a non-profit zoological organization located at Dreher Park in West Palm Beach. The zoo houses more than 700 animals within 23-acres of lush tropical habitat. 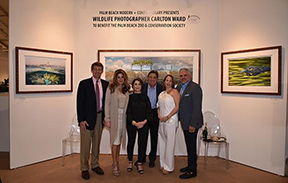 PBM+C will present a special exhibition by Wildlife Photographer, Carlton Ward, to benefit the Palm Beach Zoo & Conservation Society. PBM+C is proud to welcome Christie’s International Real Estate, the world’s leading luxury network as a Main Sponsor of the Fair. Christies will host an interactive booth at PBM+C showcasing top properties from around the world in conjunction with fifteen of their top affiliates. Francis Picabia Loan Exhibition Curated by Jeffrey Deitch – The fair is pleased to present an exhibition featuring premiere examples of works by Francis Picabia. 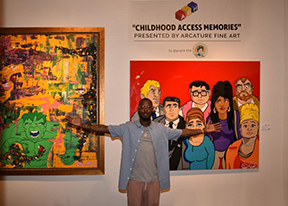 The works are not for sale, and are on loan from Jeff & Mei Sze Greene, collectors, philanthropists and Palm Beach residents. Selections from the Greenes’ Picabia collection are currently on exhibit at MOMA through mid-March 2017.